If tasked with organizing a conference, an event, a concert, or any large gathering, it would be helpful to consider giving away screen printed t shirts as a souvenir. Screen printed shirts are great giveaways becauser a large number of these customized shirts can be ordered all at the same time in just a short span of time. One does not need to spend a lot of time and energy finding giveaways that can be given to guests. 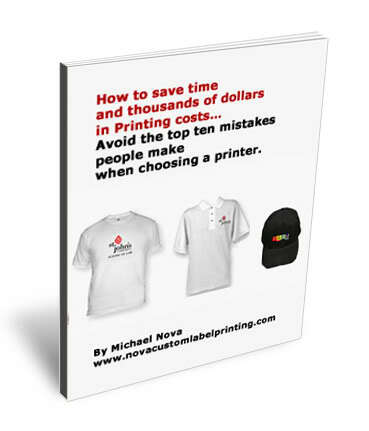 All that has to be done is to place an order from a shop that offers screen printing services. Another good thing about screen printing is that any design can be chosen to be printed on the shirt. It can be company logo or name, a specific symbol, the name of a popular band, a slogan, a photo, and so on. It does not matter if ordering 10 pieces or 100 pieces because it can be easily done with screen printing as long as the same design is on all the shirts. • Read the t-shirt label to know how to wash the shirt. Screen printing can be done on 50 % cotton and 50 % polyester. If this is the kind of fabric that the shirt is made of, wash it as someone would any other normal shirts. However, if it is made of, say, 100 % cotton, read the instructions and follow them to a tee to prevent shrinking or deformation. • Do not use hot water when washing screen printed shirts. Cold water is always gentler and safer on the fabric and also on the print. One should only require washing in hot water if there is a need to disinfect like if working in a hospital or hotel. But, if washing personal clothes, there is no need to wash using hot water. • When washing screen printed shirts, turn the shirt inside out to avoid damaging the design. It would also be better to wash the screen printed shirt separately from other clothes especially if it is new. Newly printed shirts can bleed color which can affect other cloths. Remember that bleeding color is normal during the first few washes. • Do not set the dryer too high when drying any screen printed shirt. Just gently dry the shirt to preserve the design. Twisting the customized shirt to dry is also not a good idea. If using a dryer is not needed, just dry the shirt by twisting it gently and hanging it on a clothesline. The above Screen Printed T Shirts article was written by L. Taylor for Nova Custom T Shirt Printing.